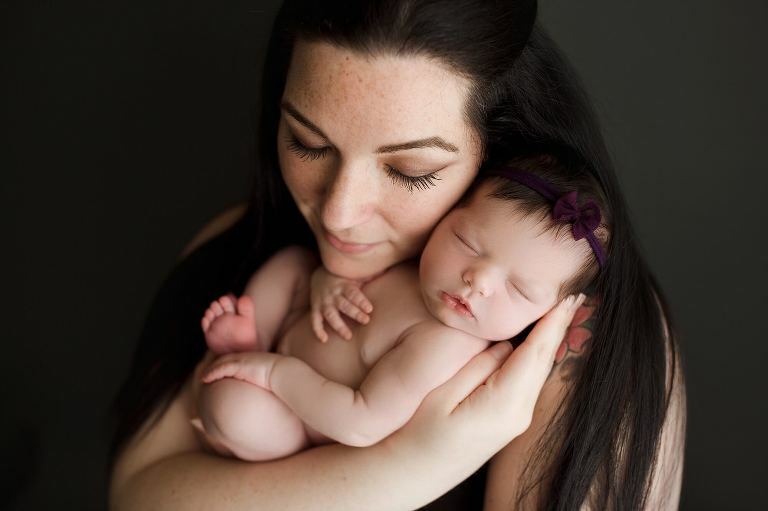 I loved being this family’s Newborn Photographer Puyallup! We met for the first time at their Snoqualmie snow maternity session and we had the best time! They are wonderful people and so much fun to work with! One of my favorite attributes on parents is tattoos! I absolutely love the way they look in parent photos, which is why I made sure we showed them off! 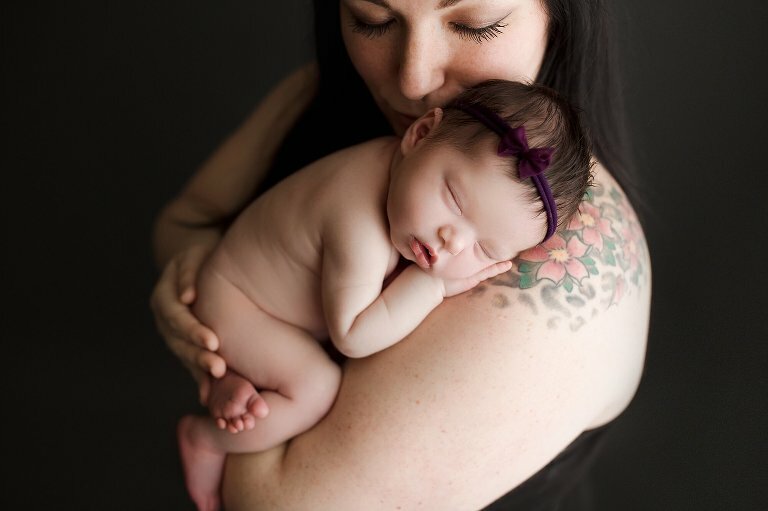 My favorite image from this baby girl’s session is the one where she is on mom’s shoulder. Such a sweet moment as a new mom! I love incorporating meaningful details into my newborn sessions. We used beautiful white roses since her middle name is Rose and they were perfect!